The ‘acrobatic’ musicians Flairck, one of Dutch best acoustic groups and ‘musical’ acrobats of Corpus, the renowned theater company from Amsterdam have joined forces in a new theatrical circus production Circus Jeroen Bosch.�Five hundred years after painting his unparalleled masterpieces he remains the people who come into contact with his work still amaze. This production was inspired by a study of the meaning behind the work of the most secret master painter of the lowlands. The show is performed by an international cast of acrobats, dancers, musicians and technicians. In the year 1482, Hieronymus Bosch was 32 years old. In the same year the book “Of the Three Blind Dancing” was published in the Netherlands, told a story about the three dance where each person participates in: love, faith and death. These three pillars are the framework on which the show Circus Hieronymus Bosch is built. 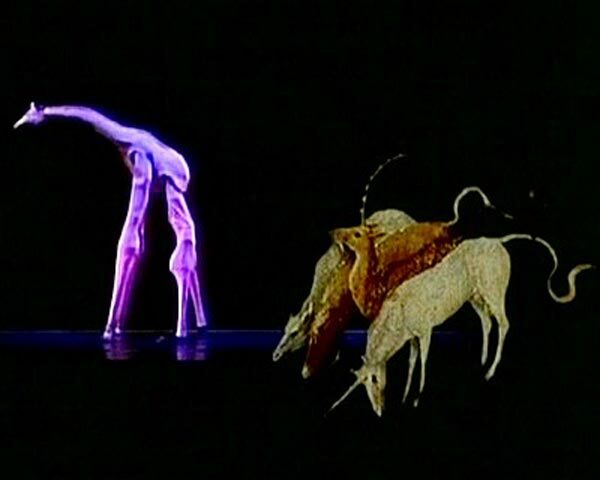 With the addition of modern projection techniques, blacklight theater and shadow play to the world of Hieronymus Bosch is brought to life. Ground and air acrobatics, stilt walkers and trampoline jumpers personify the strange creatures of Hieronymus Bosch. Ancient manuscripts and the strange sounds of medieval street musicians and their instruments inspired the musicians. 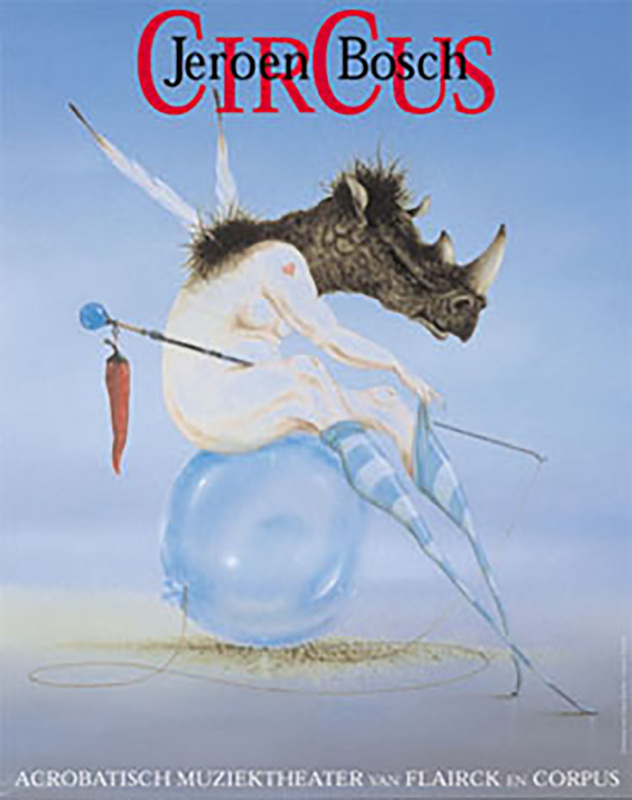 Circus Hieronymus Bosch has been staged 80 times in the Dutch and Belgian theaters during the 2001/2002 season. Erik Visser and Vincent Michels composed and choreographed this production and wrote the synopsis and script. The final direction was in the hands of Christian Taguet / Cirque Baroque France.